Welcome back brewers, distillers and fellow enthusiasts to the next instalment of Brewery in the Spotlight! This time around, we have had the chance to speak to Bill Scantlebury, the co-owner of Cullercoats Brewery Ltd, based in Tyne and Wear. So please, delve further into this month’s Spotlight on the Brewery! Bill Scantlebury and his wife Anna set up Cullercoats brewery almost 7 years ago, but it turns out that Bill has been brewing in his backyard in Cullercoats for over 20 years now! Bill says “I brew all English real ales, all cask, or keg or bottle conditioned, selling mainly in Newcastle and Northumberland, but also across the UK”. 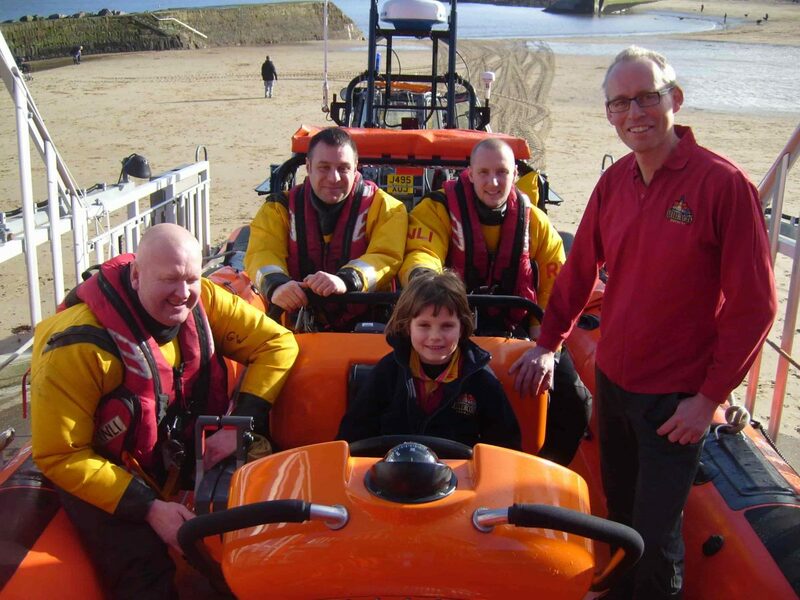 Bill and Anna’s brewery help to raise money for the RNLI, the Royal National Lifeboat Institution, through a 3p per pint donations, in which they have already raised over £38,000 – that is incredible! After hearing about this, we wanted to know more about why Cullercoats Brewery came about. “I’ve always wanted to set up my own brewery since I started ‘full mash’ brewing as a student in the early nineties” Bill explains. “Before that, I was messing on with Boot’s beer kits since I was thirteen. I wrote the business plan and set up the fundraising link to the RNLI back in 1995 but couldn’t raise the cash to set up the business, so I have to stick with the day job as a solicitor”. But did Bill stop there? Oh no he didn’t! 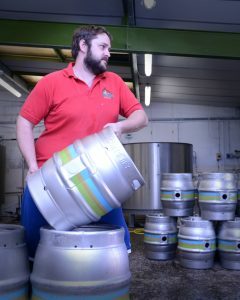 “I carried on ‘shed brewing’ in my spare time and saved as much money as I could with a growing family. Anna and I have got three kids, so it took a while! In 2011, everything came together, and I took the plunge! Anna joined me part-time at first and a year later she came in full time, dealing with admin and accounts, and leaving her previous business in music education”. As we become more and more fascinated by Bill and Anna’s story, we wanted to know where all of this started, we wanted to know where Bill gained his inspiration from! Not using conditioning tanks but instead allowing a good secondary fermentation in the cask or in the bottle. Bill continues to explain that his beers are mostly quite traditional in style. 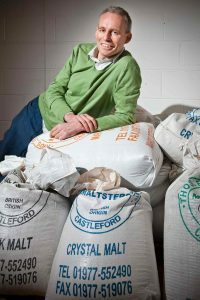 “I don’t usually add in flavourings, using only malt and hops, and only English malt and hops at that!” Bill claims that he uses the “Rolls Royce” of malts, Maris Otter, which may be more expensive but is well-known for its superior flavours. For his hops, he prefers English grown hops as he believes they offer the best flavours and aromas. The idea behind his beers is that he aims to brew a beer that is riddled with flavours that are complex and subtle, so that the beer is supremely drinkable, rather than “interesting but I could only drink half of that” type of thing. Dry Hop Project – This highlights the huge variety of English Hops, often new breeds. Shipping Forecast Series – This is Bills chance to explore different malts, and, sometimes, use ingredients like Coffee or orange peel or whisky! We think that it is excellent that Bill experiments with his beers through the use of different malts and hops, which makes the Cullercoats Brewery a popular choice for many. A lot of the time, people wonder what the differences are from brewery to brewery, however, there is always something which makes each brewery unique. With Cullercoats Brewery, Bill tells Brewcover that there are three things that make them different from other breweries. Next, there is only one other UK brewery which only uses English Hops. Finally, Cullercoats Brewery gives a permanent charitable donation on every pint sold, in which this goes to the RNLI charity. “Me and Anna think that it is a huge commitment, but we think it is worthwhile and appreciated by our customers.” It is great to see that Cullercoats Brewery is helping to give back to the community whenever they can. Like most brewers, Bill aims to be bigger and busier than ever with Cullercoats Brewery booming with business, yet still producing top quality English beers! 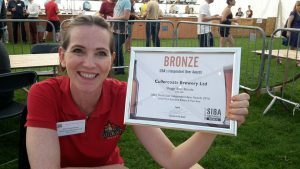 Having already won 12 SIBA awards, several of which are at National level, Cullercoats is already on the road for huge success, in which Bill is hoping to add to the current achievement haul! Even more exciting, Bill and Anna are looking into the exporting side of things, hoping to start this up soon with it being a fast-growing market – how exciting! There is also so much more in store for Cullercoats, especially for Bill! “I’m working part-time towards getting a diploma in brewing from the Institute of Brewing and Distilling”, Bill explains, saying that there is always so much more to learn! He just knows that there are more amazing beers and beer styles just waiting to be discovered and brewed! It is always good to hear from fellow brewers and distillers as to ways that other breweries or distillers could improve their business – it may be a competition but we are all still a community who helps each other out. Just like last month, we are interested in finding out a brewer’s choice for their favourite beer and where they would go to drink it. And that is it folks – another Spotlight on the Brewery done and dusted! We loved every minute of getting to know Bill and Anna from Cullercoats Brewery. Now, we wanted to know why Cullercoats chose us! 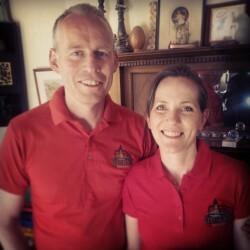 We would like to say a huge thank you to Bill and Anna – once again, it has been a pleasure getting to know about both of you more and about Cullercoats Brewery! You can check out their website to view their full range of beer here! If you feel inspired by Bill and Anna’s story and are wanting to start up your own brewery or distillery, or you need to renew your insurance, then get in touch with someone at Brewcover to find out more about how we can help. Either call us on 03330 447794 or complete our quote form for a no-obligation indication of premium.